Nissan is one of the most popular car companies in the world, known for offering well engineered products which rank high on quality and performance. Datsun on the other hand is owned by Nissan since a very long time and had its roots in the USA, where it was extremely popular in the 1980s (as Nissan exported vehicles to the States using the Datsun name, a mistake they regretted later which cost them $800 million ~ Rs. 5000 crores in the 1980s). The resurrection of the Datsun brand is Nissan’s way of targeting the mass market and on the onset, the idea seems bright. While most people might now know this but extensive Nissan bits will go into Datsun cars so you can expect the same good quality and reliability. The Datsun GO is the first product from the new badge (in its second coming) and we take a quick drive to judge if Nissan has got it right. 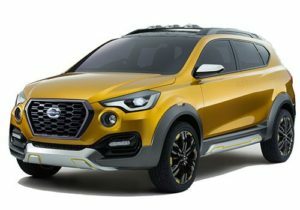 Datsun Go is definitely bringing a fresh new styling with it which will attract lot of attention. Take a look at it and you won’t feel that this car looks cheap or below average in any way, overall it has an aggressive styling which we have seen when the manufacturer revealed its first sketch and the interesting thing is that it is still retained even in this production version as well.The front of the GO hatch boasts a diamond shaped grille with a chrome garnish and a Datsun logo placed in the middle. The clear lens halogen headlamps also has a new styling which makes the front of the hatch look quite aggressive and interesting. Coming to the side profile of the hatch, it is sub 4 meter in length and has few character lines and creases which gives it a premium appeal. The side door handles are a straight lift from the Nissan hatchback Micra which obviously isn’t a bad thing. The Datsun GO has 4 doors which opens wide for easy entry and exit for the passengers.Come to the rear of the GO and you will notice a big windscreen and a boot door just like any other hatch of its class. The only disappointing thing about this new hatch is its 13 inch 155/70 skinny tyres, the wheels looks tiny compared to whole external shell. The first row is spacious and it has a bench-like seat, for storage of excess luggage next to the driver and the co-driver. Some believe that three people can sit in the front row, but that isn’t the case, as the gear lever will make seating uncomfortable. The second row has generous headroom, but knee room is just fine for tall people. The thigh support too could have been better, but this is one of the best in its segment.The third row is strictly for kids, and even Datsun calls this as a 5+2. There is barely any head room, knee room or should room for adults. With the third row raised, the boot size is a mere 48 litres and when the seats are flipped the space is 347 litres. One can even flip the second row of seats and further increase the loading space. With the third row of seats folded our entire tenting luggage fitted with ease. Having set its price range in the most economical band, it is natural that you should not expect all the safety features in the Datsun GO. The vehicle does have disc brakes on the front wheel but lacks the auto braking system. Hence, experiencing wheel lock-ups especially when you brake hard is common. Though the car might tend to change its direction a bit during this procedure, it still manages to feel stable at high speeds. The suspension can make the car feel a bit bouncy on the uneven roads. As far as the overall Datsun Braking and Safety is concerned, you have seat belts for all the passengers. It can be difficult to imagine Nissan providingairbags at this pricing level. Some of the important Datsun GO features are the engine immobiliser, child locks, and the manual central locking system.